Coleus forskohlii extract (standardized to contain 95% forskolin) is potentially useful in skin care formu-lations, particularly as a conditioning agent. Coleus forskohlii belongs to the Natural Order Labiatae (Lamiaceae), a family of mints and that grows wild in the warm sub-tropical temperate areas in India, Burma and Thailand. In India, it is cultivated for use as a condiment1. In traditional Indian systems of medicine, the roots of Coleus forskohlii are used as a tonic. Other therapeutically relevant properties include anthelmintic action and efficacy in the management of skin infections and eruptions. 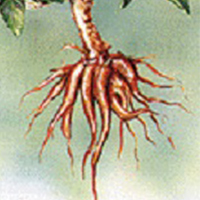 The plant is also used traditionally in veterinary practice2. Coleus forskohlii is the only known natural source of the unique adenylate cyclase activating phytonutrient, forskolin3. Adenylate cyclase is the enzyme involved in the production of Cyclic Adenosine Monophosphate (cAMP), a significant biochemical agent in metabolic processes. Cyclic AMP is a “second messenger” hormone signaling system. In many hormone sensitive systems the hormone itself does not enter the target cell but binds to a receptor and indirectly affects the production of another molecule within the cell which then diffuses intracellularly to the target enzymes or a receptor inside the cell to produce the response. This intracellular mediator is called the second messenger. cAMP and therefore forskolin have marked physiological effects through such “second messenger” actions on various biochemical processes in the body. A recently patented application includes the potentiation of lean body mass and benefits in the management of mood disorders4. Potential topical applications include its role as a skin-conditioning agent to support localized fat loss on topical application5. Research carried out over the last few decades has revealed the multi-faceted pharmacological effects of forskolin. Most of these effects have been linked to the role of forskolin as an activator of adenylate cyclase7. Adenylate cyclase is also involved in the regulation of lipolysis or enzymatic breakdown of fat in the adipocytes (fat cells). Hormone sensitive lipase mediates lipolysis and this enzyme is activated through phosphorylation by protein kinase A that in turn is activated by cAMP. Topical fat reduction in specific areas of the body is a common concern for women. Ronsard8 popularized the term “cellulite” to describe the dimpling and “orange peel” external appearance of the thighs, the cause of which was attributed to the aging process by later researchers9. The structure of subcutaneous adipose tissue accounts for the development of the “orange peel” appearance. Groups of fat cells are attached to the underside of the dermis by fibrous connective tissue. As fat cells enlarge, the fibers are stretched and pull down on the underlying skin. This causes the indentation or dimpling of the skin called cellulite. The adrenoreceptors play important roles in the regulation of lipolysis. Adrenoreceptors are neurons that are activated by adrenaline (epinephrine) or similar substances. The relative number of b-2 and a-2 adrenoreceptors on the surface of the fat cells determine the balance of lipolysis in those cells. Hormones such as estrogen influence the number of a-2 and b-2 adrenergic receptors in the fat cells. Through the effects of estrogen, women more a-2 adrenergic receptors in fat cells in the hip and thigh region12. The a-2 adrenoreceptors and the adenosine receptors in fat cells stimulate specific proteins [GTP inhibitory binding proteins (Gi proteins)] that inhibit adenylate cyclase thereby inhibiting lipolysis. A healthy balance of lipolysis is maintained through the simultaneous action of the b-2receptors that activate specific proteins [GTP binding proteins (Gs proteins)] which in turn activate adenylate cyclase (and thereby cAMP), stimulating lipolysis. Due to the increased number of a-2 adrenergic receptors in the hip and thigh region in women, fat mobilizaton becomes more difficult from these areas5. b-adrenergic stimulation and a-2-adrenergic inhibition has been reported to increase lipolysis from fat cells13. Forskolin bypasses the adrenoreceptors, increasing cAMP levels directly, thereby stimulating lipolysis. The beneficial effects of forskolin, therefore, do not depend upon the sensitivity of the adrenergic receptors, which can often decreases with age and other physiological factors. Forskolin has also been shown to counteract the decreased response of fat cells to epinephrine, associated with aging. A clinical study performed in 198713 established that regional fat loss from the thigh in obese women could be effected through adrenergic modulation. In this study, twenty eight obese women were placed on a calorie-restricted diet and subjected to one of five topical treatments to one thigh three to five times per week for four weeks: (1) isoproterenol injections; (2) cream containing forskolin, aminophylline, and yohimbine; (3) yohimbine cream; (4) forskolin cream; or (5) aminophylline cream. The opposite thigh was treated with a placebo (injection or cream), serving as the control. The treated thighs lost significantly more girth after treatment (both by injection and by cream). Additionally, no adverse reactions were observed that could be attributed to either the cream or the injections. The authors of this study concluded that local fat reduction from the thigh could be safely accomplished, using agents that affect the adrenergic mechanisms. In a double–blind clinical trial5, five overweight women were treated with an ointment containing forskolin (1.2 X 10-5 mol/L), yohimbine (2.5 X 10-4 mol/L) and aminophylline (1.3 X 10-2 mol/L) in an aquaphor base on one thigh or the base alone (placebo) on the other thigh, for four weeks, five days per week. The subjects’ thighs were wrapped with warm 600 to 900 mOsm/L magnesium sulfate solutions for 30 minutes prior to each application to maximize transcutaneous absorption. An occlusive plastic wrap was placed over the area to which the ointment was applied for the entire study period. The decrease was attributed to the combined actions of forskolin, aminophylline and yohimbine that effected localized fat loss by different mechanisms – forskolin through cAMP and b-2 adrenoreceptor activation; aminophiline through adenosine receptor antagonistic action and inhibition of phosphodiesterase and yohimbine through a-2 adrenoreceptor antagonistic action. A subsequent trial5 studied the effects of the individual components of the ointment. Eighteen women were divided into three groups of six each, each group receiving one of the active compounds. The women were placed on a 800 kcal/day diet and encouraged to engage in a walking program. As before, the warm wraps with magnesium sulfate were applied, but the occlusive plastic wrap was not used. Six women had one thigh treated with an ointment containing 25 X 10-5 mol/L forskolin in aquaphor base while the other thigh was treated with the base alone. Thigh girth measurements were taken as before. Four of the six women completed the study and showed significant decrease in treated thigh girth (p < 0.05) as compared to the untreated thigh (Figure 4). The authors of this study concluded that localized fat loss could be effected through topical application of substances like forskolin that stimulate lipolysis. The subcutaneous fat cells are stimulated first, the dimpling on the skin of the thigh is lost as tension is relieved on the connective tissue that attached to the under surface of the dermis. Based on these clinical studies reported in literature, Coleus forskohlii extract 95% is potentially useful in dislodging localized fat deposits immediately under the skin, when applied topically. The recommended levels of use as a skin conditioning agent : 0.1 to 0.5% of a topical formulation, such as an ointment, cream or lotion. To improve transdermal penetration of the extract, 0.01-0.1% CosmoperineÒ (a standardized preparation derived from black pepper, a registered trademark of Sabinsa Corporation)14 may be added to the formulation. Bruneton, Jean. (1995) Coleus forskohlii. in Pharmacognosy, Phytochemistry, Medicinal Plants, Lavoisier publishing Company, 521. Abraham, Z. In ” Glimpses of Indian Ethnobotany” , S.K. Jain, ed., Oxford & IBM Publishing Co., Bombay, 1981; 315.
de Souza, N.J. (1991) Coleus forskohlii Briq.- The Indian plant source for forskolin. Recent Advances in Medicinal, Aromatic & Spice Crops, (ed: S..P. Raychaudhuri.) Today and Tomorrow’s printers and Publishers, New Delhi, India, Vol I: 83-91. U.S. Patent # 5, 804, 596. Method of preparing forskolin composition from forskolin extract and use of forskolin for promoting lean body mass and treating mood disorders, assigned to Sabinsa Corporation. Greenway, F.L. et al. (1995) Topical fat reduction. Obesity Res. 3 Suppl. 4: 561S-568S. Rupp, R.H. et al. ed. (1985) Forskolin: Its chemical biological and medical potential. Proc of the International Symposium, Hoechst India Ltd, Bombay. Ronsard, N. Cellulite: Those Lumps, Bumps and Bulges You Couldn’t Lose Before. New York: Beauty and Health Publishing Co. 1973. Bayard, E. The Thin Game: Dieting, Scams and Dietary Sense. New York Avon Books. 1979. Kral, G. et al. (1977) Body composition in adipose tissue cellularity before and after jejuno-ileostomy in several obese subjects. Eur. J. Clin. Invest. 7:414-419. Arner, P. (1992) Adrenergic receptor function in fat cells. Am. J. Clin. Nutr. 55:228S-236S. Greenway, F.L. et al (1987) Regional fat loss from the thigh in obese women after adrenergic modulation. Clin. Ther. 9(6):663-669. Badmaev, V. and Majeed, M. (2001) Skin as a delivery system for nutrients, nutraceuticals and drugs. Tetrahydropiperine, (THP) a natural compound with potential to enhance bioavailability of drugs and nutrients throught he skin. Agro-Industry Hi-Tech. January-February, 6-10.